Last Saturday, my family and I went on a field trip to historic Hillwood Estates, the home of Ms. Marjorie Post, the American socialite that was a compatriot and confidant of Presidents, Premiers, actors, and gardeners. Much could and has been written about this formidable woman. She was a collector and patron of the arts, with a penchant for collecting the very best from 18th century France and Russian arts and artifacts. In later life she took steps to convert her splendid Washington DC mansion and grounds into a permanent museum housing the treasures and art she collected in her lifetime. I could write a very long blog post just about Post herself, but I will let Wikipedia do the talking this time. Suffice to say she was as close to a Dowager Duchess as America has produced. 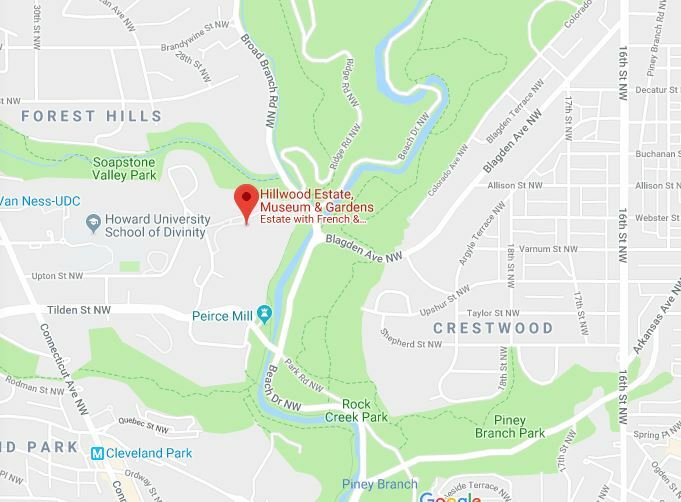 It being a brisk yet bearable day, we drove up to Upper NW to the estate, which is north of the Zoo among the wealthy riffraff and about as far as you can get from the hoi polloi and still be inside the confines of the District of Columbia. Off of Rock Creek Parkway, just North of the Zoo, in the Chi Chi neighborhood. You don’t want to “Zillow” the surrounding houses, trust me on this. One so hopes this is a slideshow. 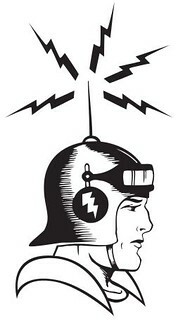 Otherwise, visit here. 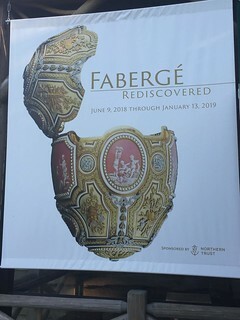 The Fabergé Rediscovered display was in the Adirondack house on the estate grounds, but will be returning to the main house soon. 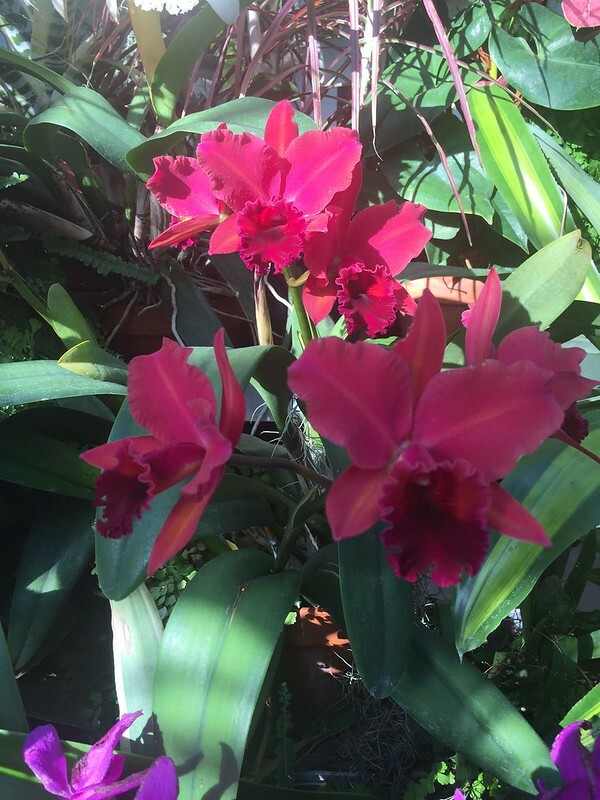 Orchids were lovely, but we were here on a mission. Besides being a wealthy socialite, humanitarian, donor, and sponsor of diverse groups from the Boy Scouts of America to the Red Cross, Marjorie Post was first and foremost a collector, and one of the most important collectors of a bygone era of Russian history on the planet. She had the advantage of having lived in Russia directly after the Revolution in the 20s, and many contacts on the world market for collecting Russian art– which was rapidly being traded for hard currency to finance public works projects. The incoming Soviet government was more pragmatic than emotional about irreplaceable cultural treasures, you see. So that is how Post got her hands on two of the Imperial Fabergé eggs— those ultra rare objects d’art (of which there are purported to only be 50 of left in existence). 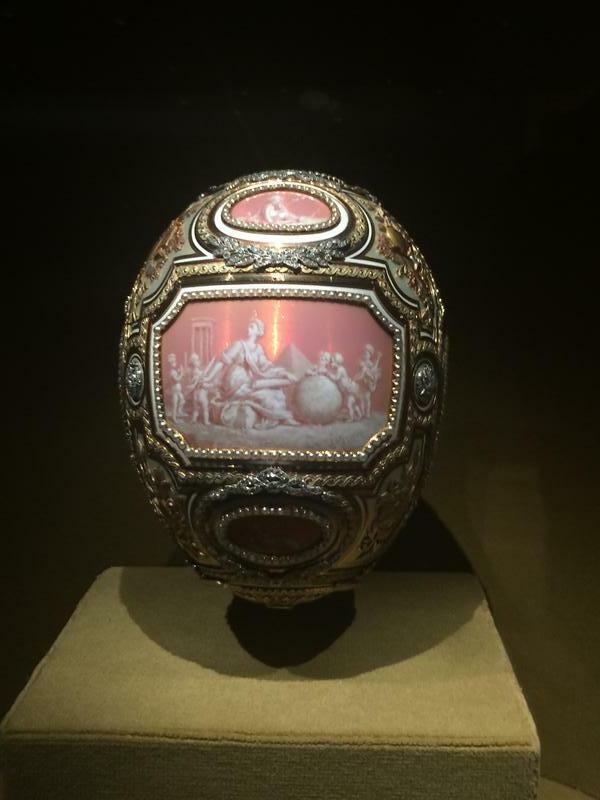 The week of our attendance was the last week one could see a third egg in addition to Marjorie Post’s two on display– one lent to her collection’s display by the Royal House of Monaco. Since there are for sure only 50 Imperial Eggs in existence (and perhaps more, I’ve seen a figure up to 60 mentioned, but it’s debatable), it is indeed a rare event to see three of them in one location. 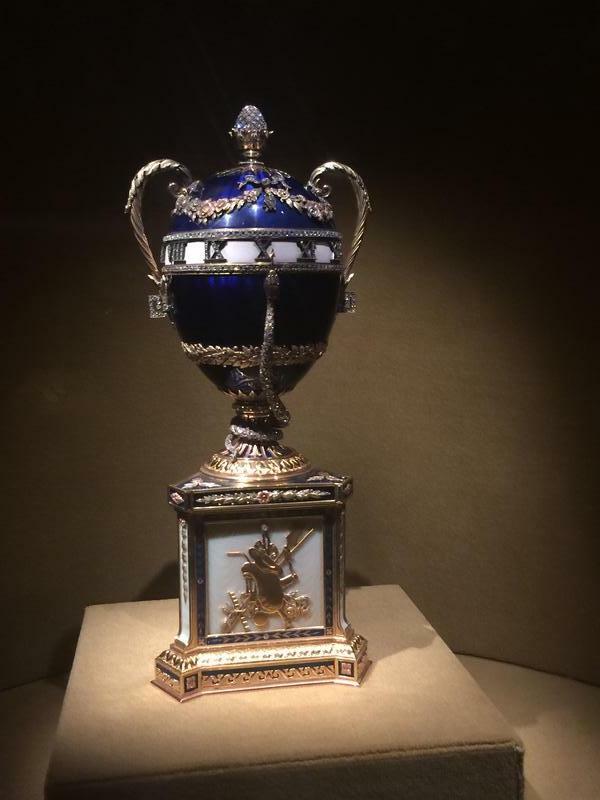 The CATHERINE THE GREAT EGG was among the last made before the Great War. It is normally depicted resting on the special stand Post had made for it. The even more famous TWELVE MONOGRAMS EGG is a commemorative egg celebrating Czar Alexander III. 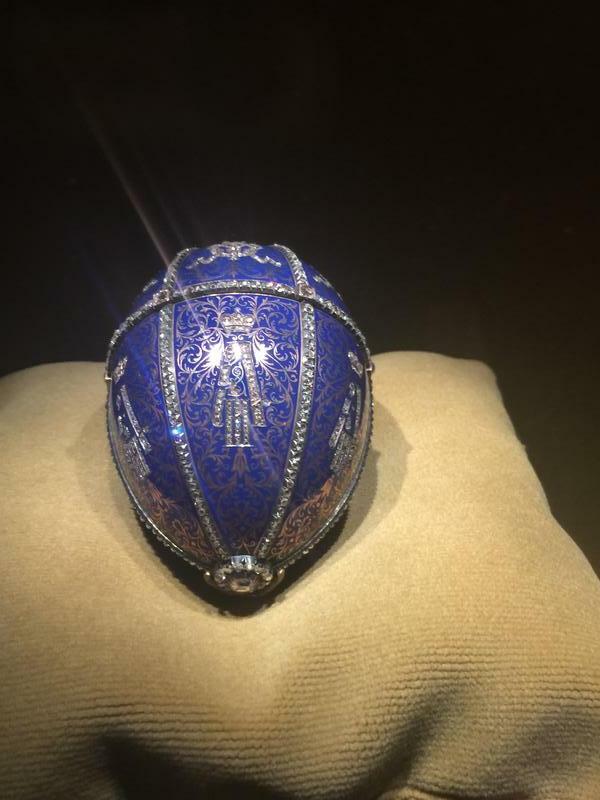 It is usually displayed on a small diamond encrusted stand Post had built to display this egg. Marjorie Post didn’t just collect Faberge eggs, she was perhaps the most prominent collector of Russian Imperial era art and treasures in her time. Her decision to put her objects into a museum after her death was perhaps the only way the Western world was going to see some of the sacred art objects of an era that had faded into the past. I could embed a million pictures (and man, did I take a bunch) but I have no time. Here you go, click here. I recommend a visit to Hillwood Estate if you have an interest in History, Russian Art, French 18th century decorative arts, or just to see how an impressive mansion was manned and run back in the heyday of a more elegant and enlightened time.